Since Antojitos Mexicanos rebranded itself recently from a more nondescript deli grocery that also made antojitos, the place seems to be perpetually jammed. The all-female staff is constantly pressing fresh handmade tortillas out as orders come in. 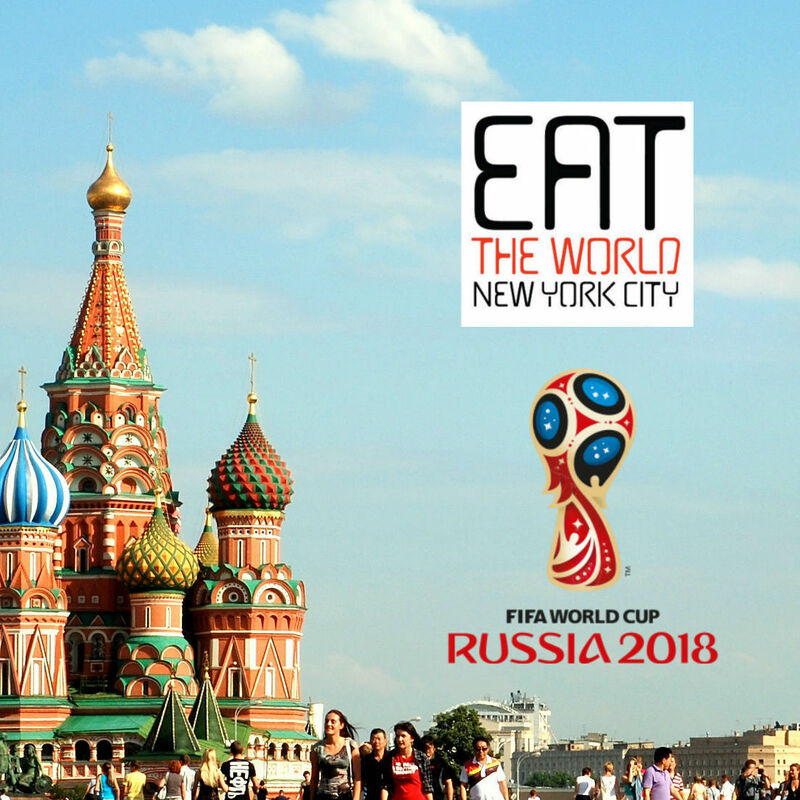 Four or five of them each have a station and the spot runs seamlessly, it takes about 10 minutes to get really good food. As the awning suggests, this is a place only for antojitos, something that New York fortunately excels at. With that being said, don't walk in expecting larger platos fuertes. Three tables sit about 10 depending how close everyone wants to get. A lot of people come here to eat solo, so don't feel shy to grab a seat with someone after placing your order at the counter. 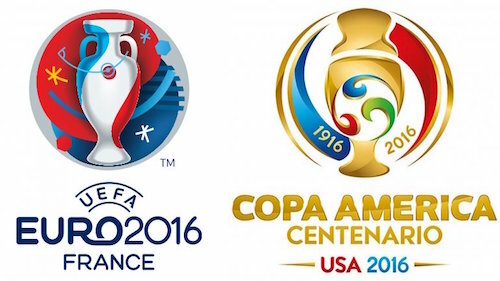 A good view of the kitchen or some football on TV will pass the time nicely as you wait. 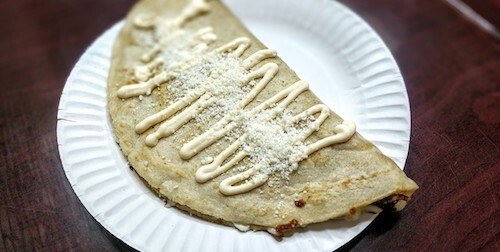 On a first visit, it seemed as though quesadillas ($5, above and below) were the most popular item, and an order easily proved why. 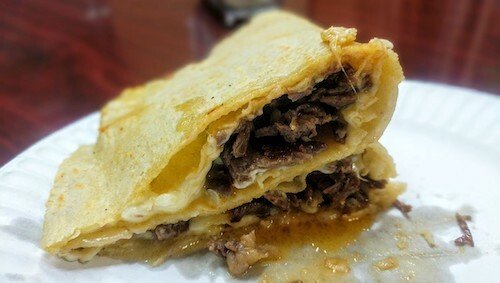 The handmade tortillas for these are pressed out in real time and grilled, toppings and fresh cheese also prepared only when ordered. One was certainly big enough for a meal, but guaranteeing that I would be outdone, the man that joined my table ordered two for himself and finished every last bite. 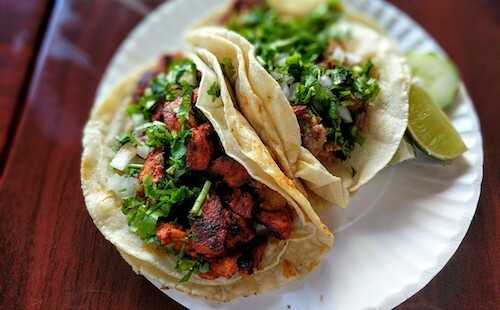 After a couple bites of the tacos on a second visit, I was almost convinced that these tortillas were also handmade, which would have changed the universe in Sunset Park. In reality it was just a higher quality product that was then griddled to toasty perfection on both sides. 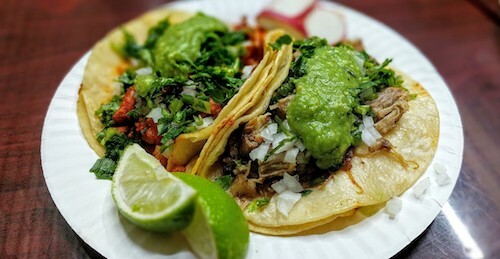 The tacos made with pastor and suadero (below) were both top notch, served in a large size and already prepared with cilantro, onion, and a green salsa made with avocado. Good red and green salsas are also available in bottles and will be brought when your order comes. 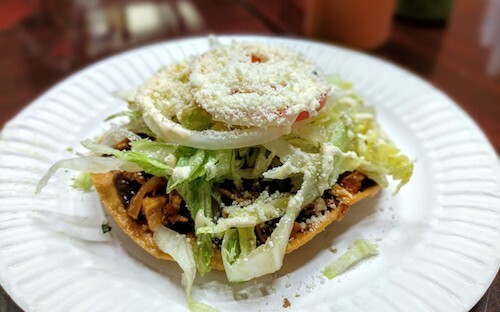 The tostadas (below) are also good, a thin layer of beans is spread below the toppings chosen. 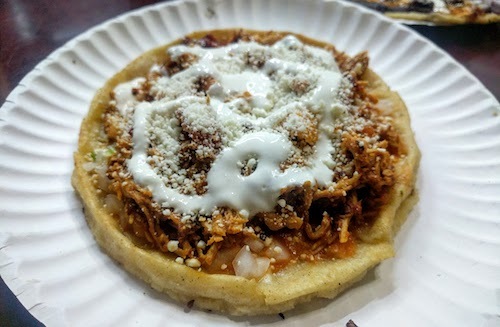 Having nothing even slightly mediocre yet, a third visit was impressed by the sope ($5, below), built on a large oval-shaped tortilla that is pressed by hand to remain thicker and left with flat ends. 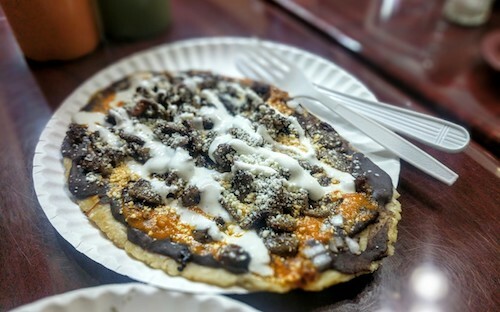 This uses a more generous spread of their tasty black beans, and the version below came with carne asada, which was really good and possibly a highlight of their meat selections. Last, but certainly not least, was the more compact picadita ($4, below), built with upturned ends that act as a defining edge. The tinga here is unusually delicious, smoky from chipotle peppers and full of heat. When you order food in México, the process is somewhat similar to that here. They get to work creating tortillas and putting everything together after the order has been made, and it all comes back as good as possible according to the chef's talents. It is amazing what a difference this makes without the use of premade items, and it is no wonder why this relatively new spot is always full of hungry patrons. 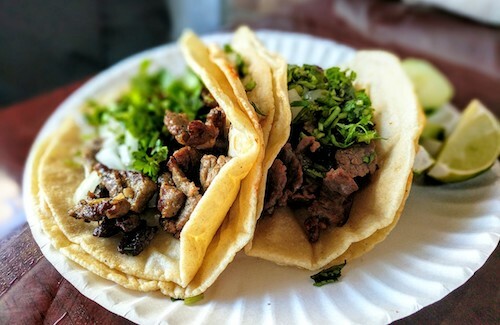 In addition to all the tasty handmade antojitos above, you can request freshly made tortillas for your tacos as well, for only $1 more.